Sadly, as many of you know, after a long battle against cancer, Maggie Campbell died last Sunday. All those years ago, at the legendary BMP where I was then an Agency Producer, John Webster promoted her from his secretary to become my assistant in spite of my protestations that I neither wanted nor needed an assistant. Little did I know! Maggie’s natural benign warmth and smile parted waves, opened doors, unruffled feathers and made mine and other’s lives around us so much easier and rewarding. Suddenly, I couldn’t do without her. But this was not the whole story. Behind that wonderful healing disposition and disarming smile hid a tigress with a backbone made of steel, and to be brought calmly but firmly to heel by this rarely seen Maggie was not an experience one might entertain repeating. Ever. Maggie was the most quietly determined person I have ever come across and her innate wisdom and strength was an inspiration to us all. 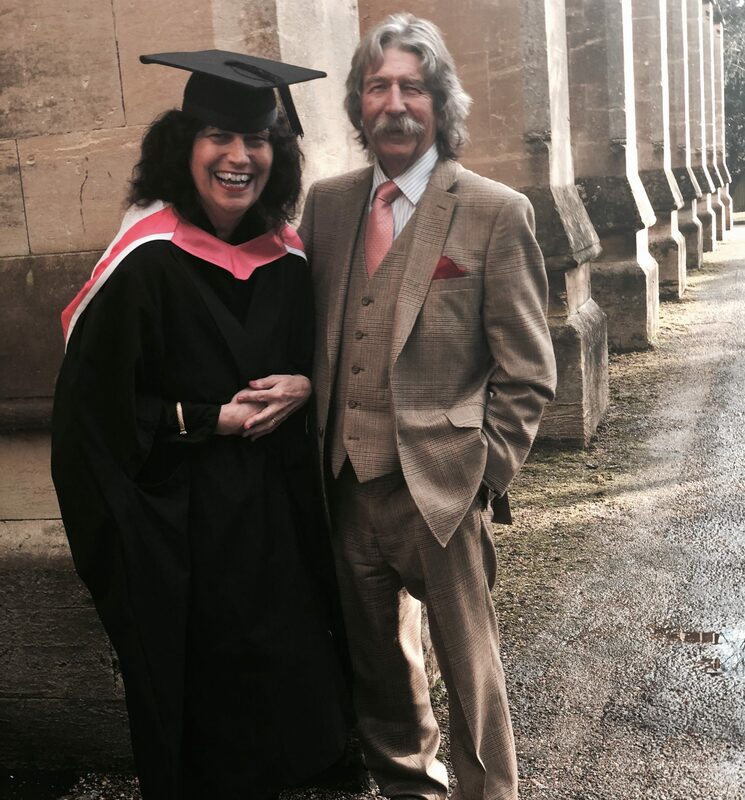 Testament to these qualities is the photograph of Maggie, with her husband Joe, having just received an MA in History of Art. In spite of her illness, she achieved this in July this year. Maggie’s achievements as Agency Producer and Head of TV are well documented but one thing unites all who worked with and for her – a universal deep affection for someone who could fix anything with kindness, humility, humour, and simply, to make everything ok again. A very rare human being who will be missed terribly by an industry that had so much respect and affection for her. Always a friend, never merely a colleague.